At the time of the interview Waylon was appearing in The Lion King at the Lyceum Theatre, London. 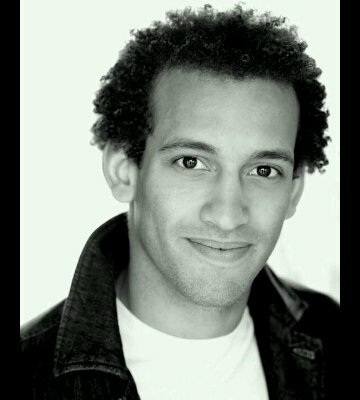 He understudies for Simba as well as having the role of ‘singer swing’ which means he covers all the male singing parts. The Lion King is a Tony and Olivier Award winning Broadway and West End musical based on the 1994 Disney animated film of the same name. It contains actors in animal costumes as well as giant puppets. Waylon has always enjoyed singing, although it wasn’t until he was seventeen that he was inspired to embark on a stage career and enrolled at the Arts Educational Schools, in London. His first professional role was as understudying Widow Twankey in Aladdin which was followed with a UK tour of Riverdance. I recently asked Waylon some questions about himself and his career, which I hope you will enjoy reading. I went to the Headlands School in Swindon. It wasn’t really big on plays and musicals but I did do a couple of concerts singing in them, I did however play the lead in a sexual education play called Taking It Lying Down in Year 10 where I played the role of Jamie a typical teenage boy! I’m not really sure as I’ve always enjoyed being vocal in life but I guess it wasn’t until I was about 17 when I really wanted to pursue this career. Michael Jackson made me want to sing and Will Smith made me want to be in films. I never really had the urge for stage until I saw Starlight Express on tour when I was 17, and that’s what inspired me for the stage life! I understand that you trained at the Arts Educational Schools, London, what are your favourite memories of your time there? In your first and second years you do projects and song and dance numbers on a half-termly basis and they were always great fun as we got to work with professionals in the industry. Also the banter that we had as a year was wonderful. Friends I made at Arts Ed are truly a special bunch to me! My first professional performance must’ve been Panto in 2nd year where I worked for QDOS and understudied the Widow Twankey in Aladdin. You were in the UK tour of Riverdance, what was that like? This was my first job out of college and was incredible. I never thought that the learning would continue in the way it did when I left college but it was a whole new experience and I thoroughly enjoyed being in this new situation with wonderful people and learning more about myself and abilities. During 2010 you performed in Our Time at The Albert Hall in front of Sondheim, in the 19th BBC Prom conceived to celebrate his 80th birthday. What was that experience like? This was one experience that I will never forget, from the nerves just before going on to the amazing feeling that I felt afterwards when the 6000+ audience applauded and showed their appreciation it was just incredible and there aren’t words to describe how I felt, just wonderfully overwhelmed! As understudy for Simba and also ‘singer swing‘, what is it like performing in The Lion King? It is very rigorous on the voice and body, the show totally challenges all aspects of your being especially being a swing and cover as you never know when you’re going to go on and what is going to be expected of you vocally, also you tend to suffer from what many in the industry call swing guilt. For example if you’re feeling ill you force yourself into work as you’re supposed to be the one that covers the people who are sick which then sometimes has a negative effect on your show! Besides that though, it is an incredible experience being part of The Lion King. I still get a buzz every time the lights dim in the auditorium and the curtain goes up to reveal Rafiki. The show is colourful, wonderful and fun onstage and off, I love performing in the show. What do you usually do on your nights off from The Lion King? I have friends in other shows in town so I try to catch up with them and keep an eye on how they’re doing. The show takes up a lot of my personal time so I try to relax as much as I can when I’m free! Apart from The Lion King what is a favourite role that you have performed? In our graduate shows we did a new musical adaptation of Romeo and Juliet in which I was Friar Laurence. This was my favourite role because it was so new that we were allowed to completely create it from scratch putting our own stamp on the acting and the vocals. I literally had so much fun singing his songs because I felt like they were created by me! I would love to play in an Aladdin musical – sign me up! I would love one day to have the chance to work alongside Ian McKellen as he is one of my all time favourite actors. I adore his work and would love to see him in action watching his processes and see what makes him so great! I would love one day to have the vocal athleticism that Billy Porter has, his voice is unreal and he is a massive inspiration to anyone who wants to be truly free with their voice! I would love to be in an original cast of a Broadway or West End show, win an Olivier and a Tony, and also be in a musical film as well. I think for the moment they’re my long term ambitions but as with me that could possible change again at some point as I like to keep working towards new goals. Thanks Waylon for taking time out to have a chat!